Congratulations to our Clients Chic Buds and 1 Voice for their feature on Live with Kelly and Michael! Amy Astley, Teen Vogue Editor-in-Chief, brought her picks for top gifts for Tweens and Teens to Live with Kelly and Michael! Tech gifts from our Clients chicBuds and 1 Voice made the list. Encourage your teen or tween daughter with products from chicBuds, a companyÂ empowering women and girls Â around the world to work hard, follow their dreams, keep their heart on the right path and of course delight in their own personal style! 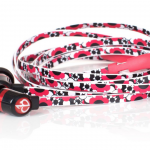 Check out their incredible and stylish collection of earbuds, phone cases, portable speakers and phone chargers at chicbuds.com!Â Making life and audio a prettier place. 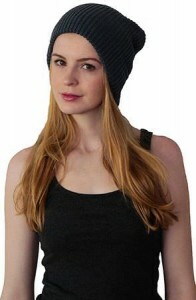 For your active teen, the 1 Voice Beanie brings you music, technology and style on the go. It’s aÂ beanie with high qualityÂ Bluetooth headphones built-in, which streams premium quality music from portable devices. No more ear buds that keep falling out and no more earaches. It also comes with an easy rechargeable battery. Check them out at 1voicenyc.com!